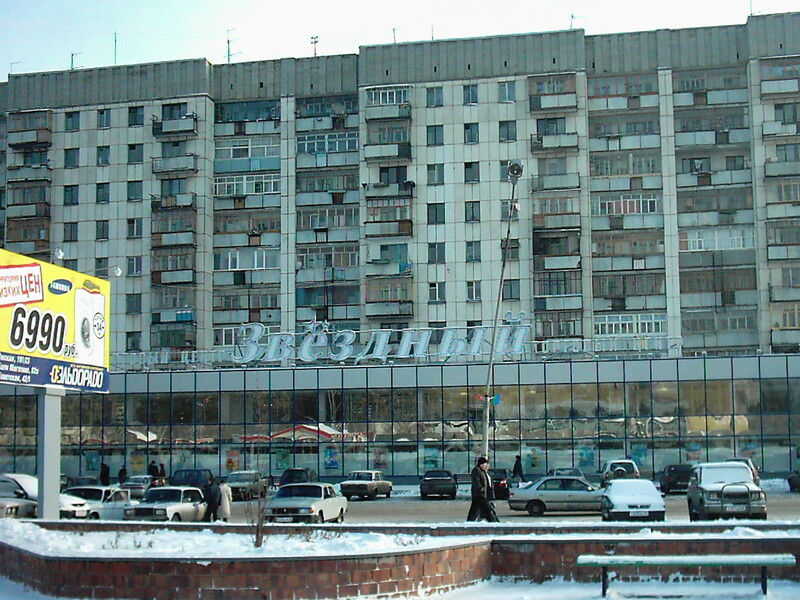 In 2004, I studied in Kurgan, Russia, a city on Siberia’s western fringe about two days by train from Moscow (to the left is a picture of the supermarket near my dom). The Kurgan Oblast’ is small and poor and rarely receives national, much less international, news coverage. One fact about Kurgan that periodically surfaces in the media though is that one of its small villages – Shchuchye (Щучье) – contains one of Russia’s seven [declared] chemical stockpiles. Shchuchye holds just under 14% – or 5,440 metric tons – of Russia’s nerve agent stockpile, all in convenient, mobile canisters. For around a decade now, the U.S. and Russia have worked on a plan for destroying these weapons under the Nunn-Lugar Cooperative Threat Reduction program framework. 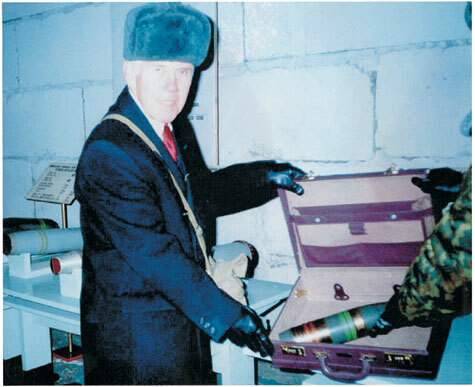 In fact, on the right is a picture of Senator Lugar himself (sporting an ushanka to boot!) in Shchuchye demonstrating the ease with which the nerve agent canisters could be transported (why hasn’t he been made Secretary of State yet?). Shchuchye was back in the news today (in the Post, the IHT, and the AP). The news was mostly good – work is proceeding and the destruction of the canisters should begin in 2008 as planned. The stories also reported about ‘delays’ in finding suitable Russian contractors at the right price. I cannot figure out what the delays amounted to, because the work appears to be on schedule if it does indeed start next year. The reports do not say what company is in charge of construction now, but I do know that Parsons Corporation was previously heading up the project. The other side of the Shchuchye story left out of the media reports concerns the environmental and social factors of the chemical weapon destruction project. Global Green – Gorbachev’s environmental organization – has long been active in Shchuchye and recently released a report on what the citizens of Shchuchye think about their town being used as a chemical waste dump. For the Russian-speaking readers, below is a video of a news report on the standard of living of the people of Shchuchye and its interaction with the chemical weapon decommissioning program (it cuts off short…sorry). Clearly, there needs to be more of a focus on improving the lives and monitoring the health of the people who live near these weapons along with the technical goal of destroying the stockpiles. I know that Global Green/Green Cross has been doing good work in this area, but I think the Russian and American authorities have neglected it. For example, I know from people who are close to the project that much time was spent constructing a nice ‘hotel’ for all the Western workers and specialists coming to the small village and that the local government did little to take the residents’ concerns into consideration or even answer their questions. Thus, while it is good news that the U.S. has found Russian contractors at a reasonable price for the project, I hope they are focusing on the human element as well. This entry was posted in chemical weapons, Kurgan, Nunn-Lugar, Shchuchye. Bookmark the permalink.